Listen to Sean's hour-long interview on the NPR show, New Dimensions. Host Glen Sebera writes, "The Declaration of Independence states that all humans have a right to pursue happiness. But is happiness the ultimate achievement? Is there something beyond happiness that is more enduring and less subject to outside influences? 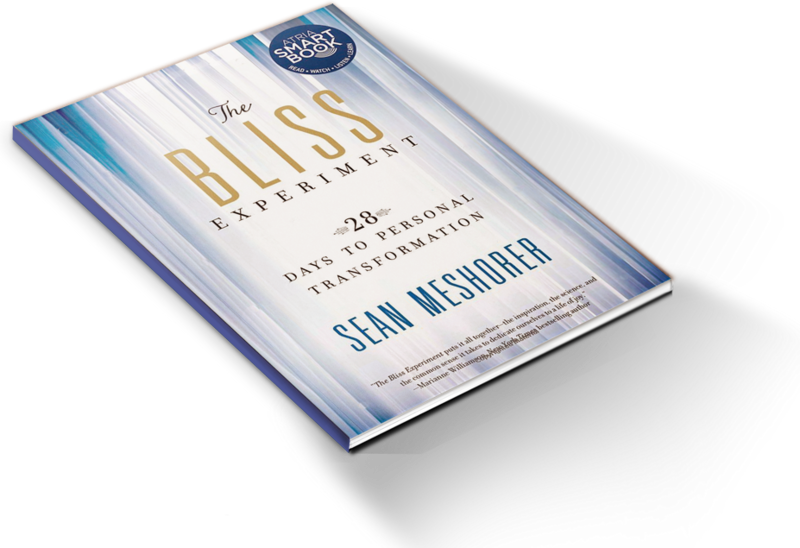 Sean Meshorer says, “Bliss is that abiding feeling deep within ourselves whose hallmarks are things like inner peace, contentment, unconditional love, and joy. It is something that is entirely inside ourselves. Whereas happiness is more of an external phenomenon and is often fleeting . . . Bliss requires no mediation whatsoever. It’s direct, personal, and it’s always with us.” Bliss doesn’t depend on having a good relationship or having the opportunity to serve humanity. It doesn’t depend on being wealthy, famous, or good looking. It doesn’t depend on lots of sensory experiences. Meshorer suggest that we can be locked inside a black box with no ability to interact with the world around us, and still have access to bliss. He gives us many suggestions as to how to achieve the state of bliss."